Adelaide is the capital city of Southern Australia, ideally suited to a fly drive holiday, a coastal picturesque city on the banks of the River Torrens. The city was founded by Colonel Light in 1836; he created a one square mile city with lots of open space. The grid system makes navigating the street very simple, see the old and new architecture and visit the Casino (once the old railway building), Parliament Buildings, parklands, botanical gardens, shop and restaurants. Adelaide is known for the fringe and music festivals that take place February-March. Drive your hire car to Adelaide Zoo, there is parking available on Plane Tree Drive, War Memorial Drive and Frome Road. Australia’s second largest metropolitan zoo sits next the river and is surrounded by lush green vegetation. The picnic area, Rotunda, provides plenty of shade. There are many different types of animals to see as well as those indigenous to Australia, such as koalas, kangaroos and wombats. Visit the only two pandas in the southern hemisphere; see them play together for a limited time only each day. A short walk from the zoo is the Botanical Gardens, take a peaceful walk and escape the heat and noise of the city, it is the most well known of the Adelaide’s 29 parklands. Adelaide’s beaches have much to offer, stretching from North Haven to Sellicks Beach in the south. The majority of beaches are just a 30min drive out of the city and due to the warm Mediterranean climate they can be enjoyed all year round. Just 12km out of the city centre is Glenelg Beach, the historic beach resort was the beach head for the establishment of the colonies in the 1800’s .There are long white sandy beaches clean and safe and great family resort. Drive to Port Lincoln and get on board the Princess 11 boat to Neptune Island. Here there are many opportunities to scuba diving and see the Great White Sharks. Not for the faint hearted but still hugely popular is the Rodney Fox Experience. Fox survived a vicious shark attack many years ago; he invented a specially structured cage that allows divers to safely view these dangerous creatures up close. Alternatively tender a boat out to the Neptune Island and see the New Zealand fur seals that live there. Drive 70km out of the city to the Barossa Valley, Australia’s premium wine region with 150 years of outstanding vintages. While the wines from this area have international appeal the food is also well recognised. There are many fine restaurants to choose from, or farm shops, butchers and bakers to visit. Every Saturday there is a popular farmers market great to sample the local produce of buy presents. Drive around the beautiful countryside and follow the trails that lead to heritage sites, old churches and farming communities. Adelaide is the principle airport is Southern Australia; the fifth busiest in the whole of Australia, the airport is under lease from the Common wealth since 1998. 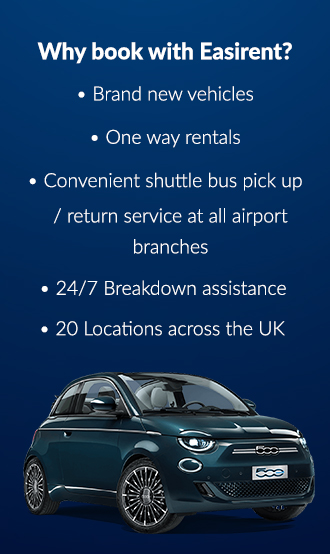 Located 6km out of the city centre, car hire is from the airport is ideal. The airport originated as an aerodrome in the 1920’s, it was in the 1950’s that it developed into a domestic and international airport. In 2005 a new terminal was built and the building was opened by the Prime Minister of the day, John Howard. To check-in luggage passengers are directed to go to level two, each airline has different requirements for check-in times so it is advisable to check all details. As a guide International flights require passengers to check in 45minutes before take-off and domestic 30 minutes. The airport has a wide selection of shops duty free and currency exchange facilities. Relax while waiting to board your flight in one of the many restaurants, coffee shops, and lounges.